It’s probably no surprise that my makeup routine is fairly simple. It’s also probably no surprise that I like to be able to get most of it at Target! While there are a few items I use that are “higher end,” non-drugstore makeup brands (not shown in this post), I’m mostly a drugstore makeup user and not ashamed. That said, just because I’m okay with less expensive products doesn’t mean I’m okay with being annoyed that they don’t last through out the day or that the pigment is lame. A lot of drugstore makeup is that annoying kind, but there are a few gems that I really love. To save you some trouble of sifting through the bad stuff, here are my current favorite drugstore beauty finds! I’ve tried primers from Mary Kay and Urban Decay and either they weren’t worth the money or they dried out or irritated my skin because they were SO intense. I don’t wear a ton of makeup with lots of intense colors, or maybe my skin is too dry for those particular primers, but I found I didn’t need something as heavy duty as Urban Decay’s primer. Something lighter that still lasts, please! I found the Revlon Photoready Primer a few years ago and have been using it ever since. I LOVE it. It goes on really smoothly, can also be used for around the eyes as well as the rest of the face, keeps my makeup in place, and rather than drying out my skin it makes my skin soft. I use the Perfecting Primer, but there’s also a Color Correcting Primer that’s supposed to help even out your skin tone. I’ve also used this for years. There are different formulas for Normal/Dry Skin and Combination/Oily Skin. My sister, who is a makeup artist by hobby, recommended it to me when I said I wanted to do my own makeup for my wedding 6 years ago. She said that this particular foundation was good for pictures because of how it absorbs or reflects light. (I forget which one it does because she said it so long ago.) So far it’s been great, and I haven’t felt a need to change it. I was using Sally Hanssen Natural Beauty by Carmindy’s eye shadows, but they aren’t widely available anymore and/or they bumped up the price to more than double what they used to cost. I loved their concentrated pigment, and at the original price it was worth it, but not anymore. Plus, they’re just hard to find so it’s annoying. Anyway, once I ran out I hunted for a replacement drugstore eyeshadow that had solid pigment. I swear I used this CoverGirl eyeshadow in JUNIOR HIGH (bahaha!) and remember the pigment being weak. For the most part I’ve stayed away from CoverGirl eyeshadow for that reason. But, after trying several other eyeshadows from Rimmel, L’Oreal, Revlon, and pretty much all the other drugstore brands and not being satisfied with their weak pigment concentration, I tried CoverGirl again for kicks and was surprisingly pleased with how much pigment is in them now. I’ve only tried one color, so I’m not sure about the rest. And the price is great! I was gifted a MAC blush a while back, and when it finally ran out I wanted to find a drugstore replacement. I can’t remember which other brands I tried, but this CoverGirl blush won. I like a brighter blush and this particular Rose Silk matched the old MAC blush I had pretty well, and for a fraction of the price. (Don’t be scared of a bright blush–it’s surprising how well it might work on you!) And also the pigments in this one were more concentrated than in the other brands I tried. I’m always looking for a drugstore eyeliner that will last all day. I took home 3 eyeliners at one time to compare to each other–this CoverGirl one, the Rimmel one below, and a crappy Revlon one that I wouldn’t recommend. The CoverGirl Perfect Blend Liner applies smoothly, blends really well, and is super cost friendly. I really, really like it on my top eyelid, but it seems to smudge on my bottom eyelid if my eyes are closed (nap times, prayer times, etc.) I think it’s actually supposed to be kind of smudgeable and probably what makes it go on so smoothly. I don’t usually go for a smouldery smudged eyeliner look, so I guess it depends what you want in a liner. But like I said, I loooove it on my top lid! Since the CoverGirl pencil hasn’t run out yet, I’ve only worn the Rimmel one for a few days to test it. This one stays on my bottom lid all day, however it doesn’t apply quite as smoothly as the CoverGirl liner on my top eyelid. It’s not problematic by any means. It’s one of those things where if I wasn’t spoiled by how smoothly the CoverGirl pencil applies and had nothing to compare it to then I’d be totally happy with it. This week I’ve been using the CoverGirl liner on my top lid and Rimmel on the bottom. Best of both worlds! Those are the ones I’ve been using as of late. What drugstore beauty products have you been loving lately? P.S. In case you didn’t know…you can return makeup to most drugstores even if used (and definitely to more expensive places). If you’re not sure, check their policies on makeup returns. That’s how I’ve been able to try enough products to find ones that I’m satisfied with, without killing my wallet. 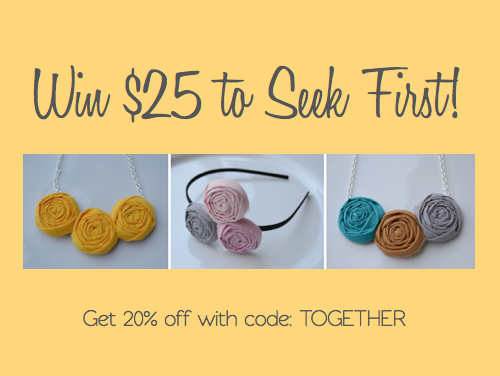 Win $25 to Seek First! 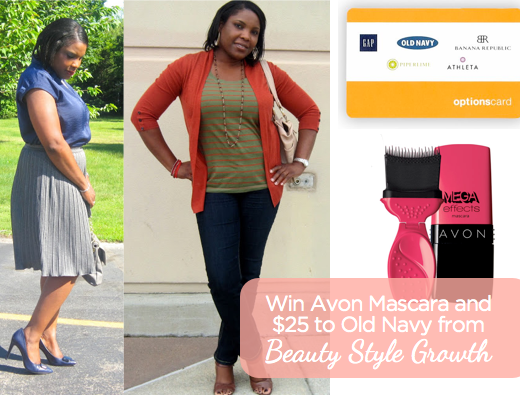 Win $25 to Old Navy and Avon Mascara from Beauty Style Growth! 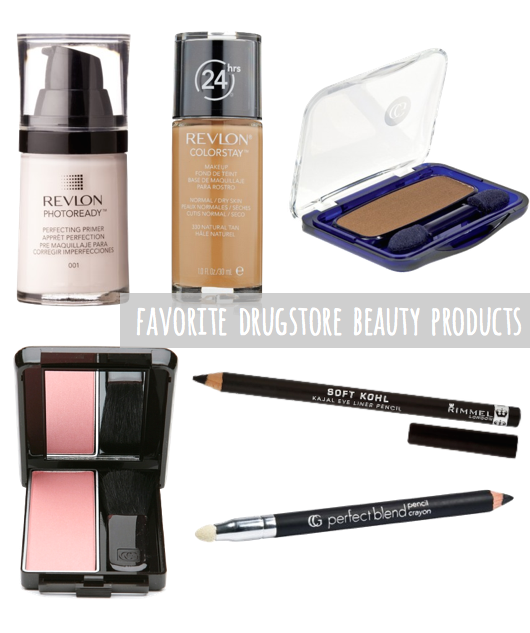 I am a cheapskate, so I have a lot of drugstore favorites! I have been using Wet 'n' Wild coloricon blush in Heather Silk for several years. It's a perfect color for me and I love it. I recently switched mascara to Rimmel Extra Super Lash and it works so much better for me than Great Lash ever did. It doesn't migrate under my eyes, which is awesome. I have a New York Color (aka NYC) IndividualEyes palette in Midtown Mauve that is fantastic. The primer that comes in the palette is quite good. I'm using Olay Fresh Effects BB cream and it's nice. I live in East Texas and it is working well in the humidity and heat of early summer. I use Monistat Chafing Relief gel for my all over primer. It is by far the best beauty hack I've discovered. I have a very oily t-zone and this works super well. And last, but definitely not least, Coty Airspun powder is my hands-down favorite powder for setting, dealing with oily skin, etc… I also love that the smell reminds me of my grandma. I typically use drugstore products too! Some of them I feel work just as good as if not better than the high-end ones. I love the Revlon Color Stay Foundation. It is my favorite. I recently tried the Rimmel London Stay Matte Primer and it is amazing. If you have oily skin I'd give it a try. I think it is only $5-$6 too! Ooh, I love this and can't wait to try some of these! My sister told me about the Monistat gel as a primer too. Really, really great hack, but it ultimately wasn't for me. It made my skin tooooooo smooth, and for whatever reason I couldn't get over it. It's such a cheap option for a primer that works really well though! I think I tried the Rimmel Primer too. My skin was way too dry for it, but I bet, like you said, it'd be fantastic for those with oily skin! Good rec–thanks, Jami! Hi Audrey! Is the Revlon foundation sheer coverage, or more medium? I am looking for a new foundation and need some medium-ish coverage. i recently tried Milani baked blush in Luminoso, and i am IN LOVE. it's just the perfect coral. also, instead of the monistat chafing gel, i occasionally use Phillips Milk of Magnesia as a primer! it does leave a bit of an odd texture on my skin, but the makeup lasts all day, and it's almost 100% sweat-proof! You should try the Loreal infallible for eyes eyeliner. However it is super, duper black. It was way too black for me. I actually use mostly high end eye shadows, but drug store face and lip products. I have three matte MAC lipsticks (please me, ruby woo, and candy yum yum) and I know they are matte but they are far too dry! I love NYX matte lip colors, as well as their butter lipsticks and butter glosses. Actually, most of my make up, aside from eyes, is NYX, with some random Maybelline (the age rewind concealer and foundation is amazeballs) too faced, and benefit products thrown in there. Incidentally, I'm giving away a Lorac Pro Eye Shadow Palette on my blog! You should enter. I love Milani. I adore their brow products! I love maybelline mascara, and I have been using covergirl invisible concealer since high school. I use it for spot coverage for zits and undereye circles on top of my foundation. I've tried more expensive brands but I was never impressed by their abilities in relation to how much I had to pay, and they never did more for me than this stuff does. Why mess with it if I'm happy, is my philosophy! NO way, I didn't know you could return stuff that didn't work out, and here I have so much make-up that I've been trying out lately! haha…so I'm guessing Target lets you return then? My favorite drugstore foundation is also the Revlon Foundation, I like to use the Revlon Nearly Naked powder on top. My fave eyeliner is the Rimmel Scandaleyes, they are almost as good as the Urban Decay 24/7 liners. I don't really do drugstore blushes, they just seem to disappear on my skin. My favorite lipsticks are from Revlon and I love their lipglosses as well for drugstore lip products. I never use lip products! I've heard great things about NYX's though. You've got me interested in trying Tiramisu. All the Targets I've been to have let me return, but a reader below said her Target didn't let her return…so, I don't know. CVS and Walgreens have also let me return. I've never had a problem with that at any store. Double check with your particular store to make sure! I love good drugstore makeup finds. Makeup $20+ always makes me uneasy! (That being said, at the drugstore I'm like "And one of those. And of those…and that one too!" and it adds up fast, haha.) I am also a Target person, but I've been heading to Walmart again and again for Drew Barrymore's line, Flower Beauty. I got sucked into the gorgeous vortex of their website and watched her tutorials and ended up buying a bunch of the products (another "And one of those" situation). It's SO GOOD! You should check it out — it's all made in the US and not animal-tested, which helped ease my guilt as I kept grabbing more things. The pencil eyeliners, cream shadows and foundations, Zoom In mascara and About Face foundation are all favorites, but the line's got everything down to nail polish. Really recommend to all you drugstore-buying ladies! I'm addicted. Thank you, Julieta! Pretty cool concept.